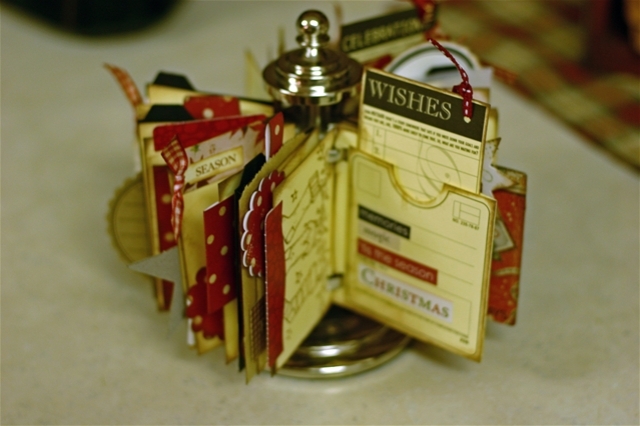 After taking Trish's 7 gypsies ATC rolodex class and after seeing Melodee Langworthy's blog I really wanted to get rolling on this Christmas one. I am hooked! 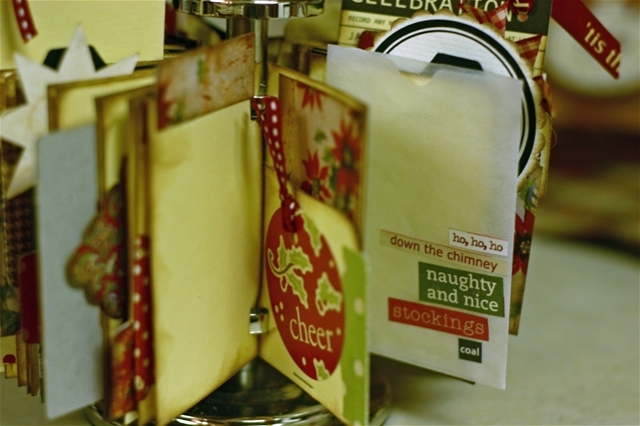 We had a blast that day with Trish and all the girls and I continue having fun as I put together another rolodex for Christmas. Now so far I'm just building the foundation - I haven't added a lot of pictures or journaling yet... But my plan is to add some pictures about this years Christmas & last years and then continue to add some every year. Here are some of the pictures. You can see more in this photo album. 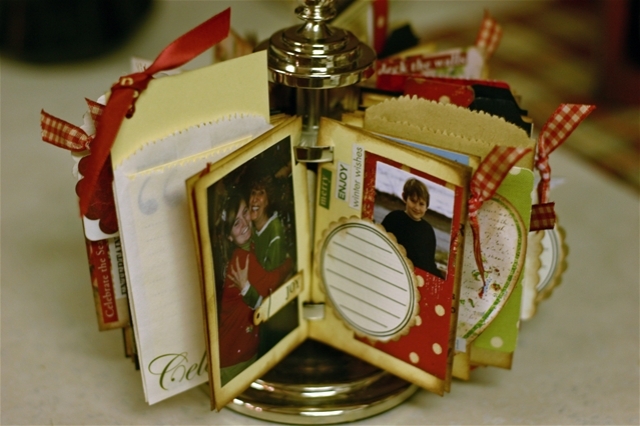 I'm using Making Memories word fetti, Making Memories cardstock stickers and the new Daisy D paper and embellishments.